Who Should Rent a Boat on Ambergris Caye? While there are hundreds of different activities and adventures to pursue on the island of Ambergris Caye, there is no question that one of the most popular is boating. Guided tours and private charter companies rent boats to travelers and residents from several marinas and piers around the island, and it can be a wonderful way to spend a day. 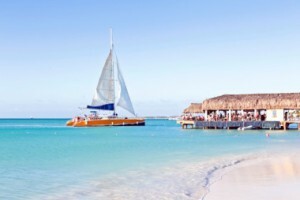 If you aren't sure whether this activity is right for you, keep reading to find out which types of people should rent a boat on Ambergris Caye. Many of the vacationers who visit Ambergris Caye for a getaway are coming in order to celebrate a honeymoon, anniversary or romantic occasion with their special someone. If you are looking for a romantic way to express your love, then renting a boat can be the perfect opportunity. Consider a full day at sea with a private beach picnic or a sunset cruise on a sailboat with a bottle of champagne in order to create fabulous memories you won't ever forget. One of the most popular pastimes on Ambergris Caye is fishing, but serious anglers know that some of the better fishing happens away from the coast. Rather than casting off from the piers along the shoreline, renting a charter boat and heading to the Belize Barrier Reef can be an exceptional way to hook larger fish and enjoy a day out at sea with local fishing experts and guides. Families naturally gravitate to Ambergris Caye thanks to the safety of the island and the sheer number of outdoor activities available, but it can be hard to keep children entertained every hour of the vacation. With a boat rental, you can fill an afternoon or even an entire day with snorkeling, swimming, exploring secluded beaches and splashing around when the boat stops. Some boat rental companies even include inflatables and packed lunches that the whole family can enjoy along the way. There are plenty of places where snorkelers can explore the underwater environment right from the shoreline, but to see more fish, more marine life and fewer people, heading out to sea is best. Scuba divers and snorkelers can rent boats to visit places like the Hol Chan Marine Reserve or countless other scenic destinations. Whether you are a long-time sailing enthusiast or just eager to try the sport for the first time, consider renting a sailboat while on Ambergris Caye. You can join an instructor to learn the ropes or simply set off on an adventure with a friend if you are already familiar with sailing. These are just a few of the vacationers who can benefit from renting a boat while on Ambergris Caye. If you fit any of these categories, then click here to learn more about boat rental in Belize.